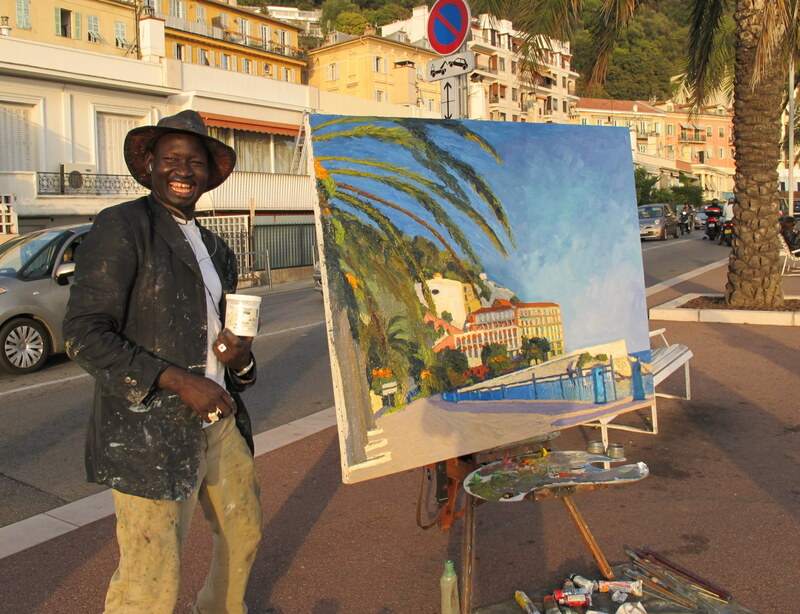 I was delighted to meet the fabulous street artist Omar Logang during my recent trip to Nice. 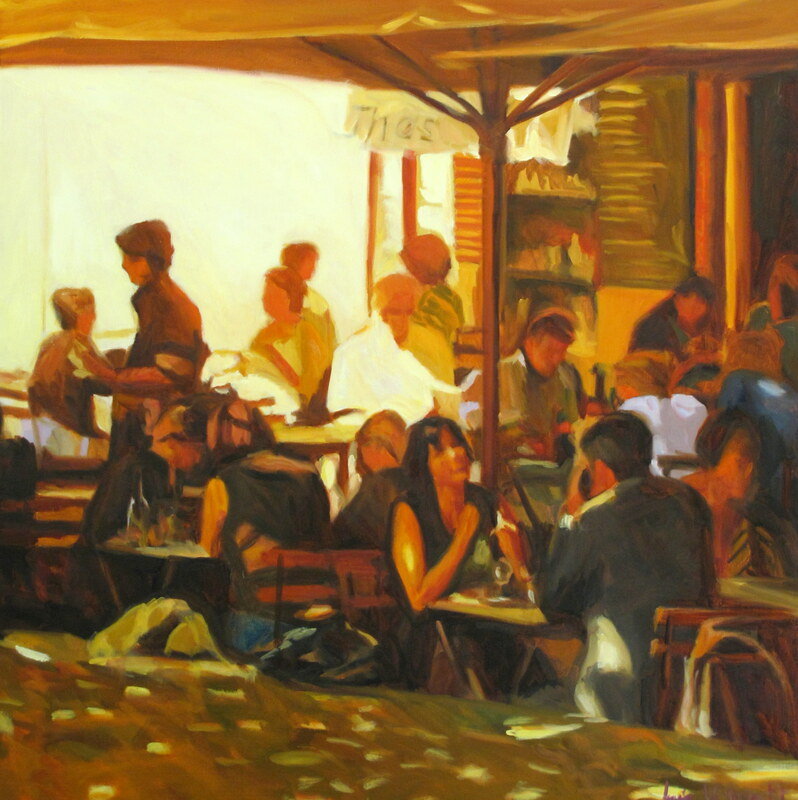 Originally from the southern Sudan, Omar took up Spanish citizenship in 1996 and exhibited his vibrant plein aire paintings in a number of Madrid’s leading galleries. 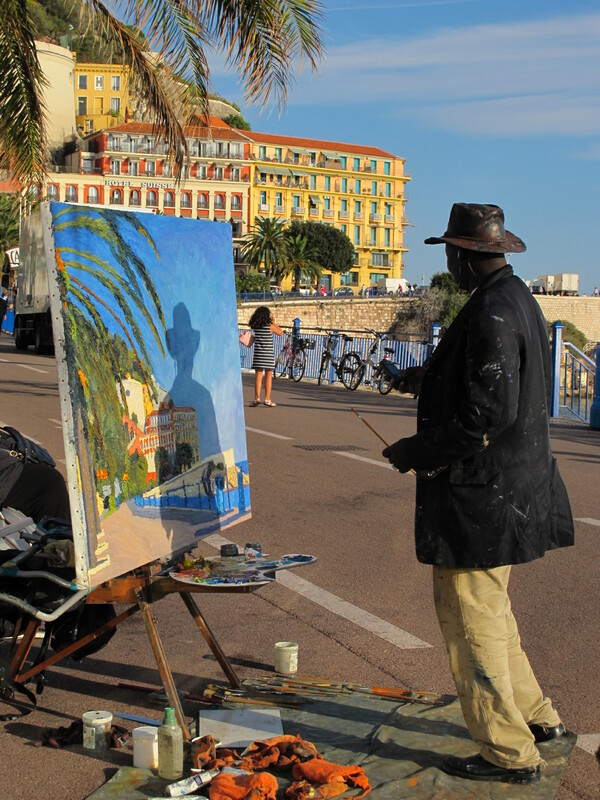 He now splits his time between Nice, Madrid and trips around the world (most notably back to Africa), carrying his paints and large canvases with him. I spent quite a lot of time with Omar over several days, watching him paint, visiting his studio and helping him sell some of his smaller canvases in the Cours Saleya market (and in fact buying one myself) – and I felt re-energised by his wonderful character and his total passion for, and his dedication to, his art. 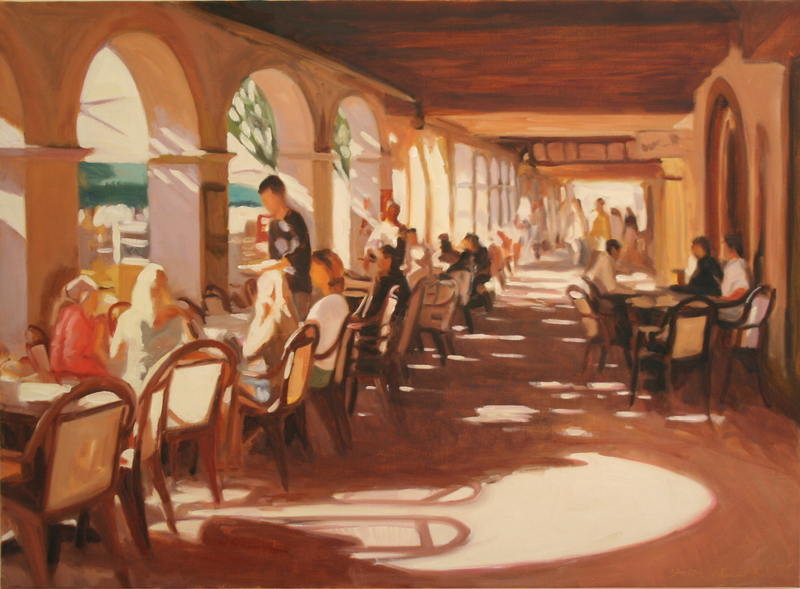 I also love his work, the way he can make colour sing and his thick use of paint – I swear that in one of his paintings of the Negresco the paint on the cornice of the hotel, where shadow turned to light, was an inch thick – and it worked brilliantly! 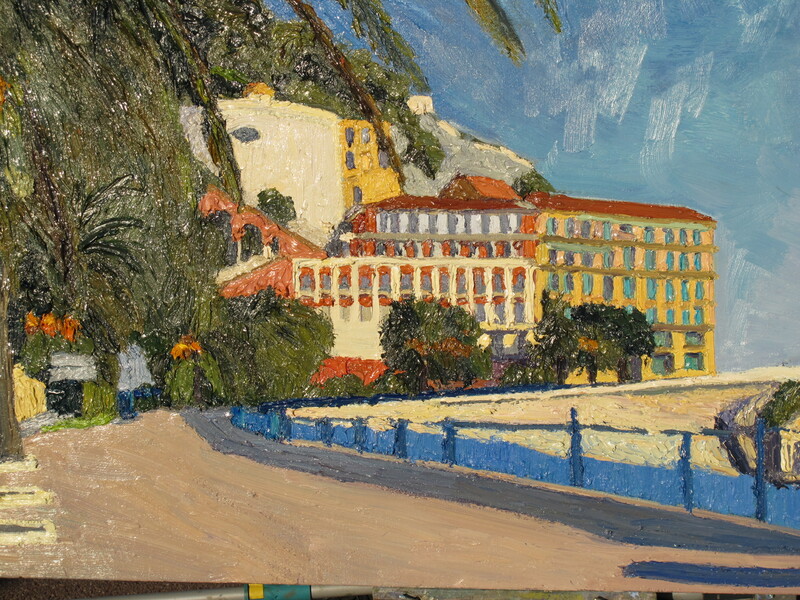 Omar has an exhibition of some of his large canvases of Nice in the Opera district of the city in Spring 2011 and I am hoping to be able to get over to see it. 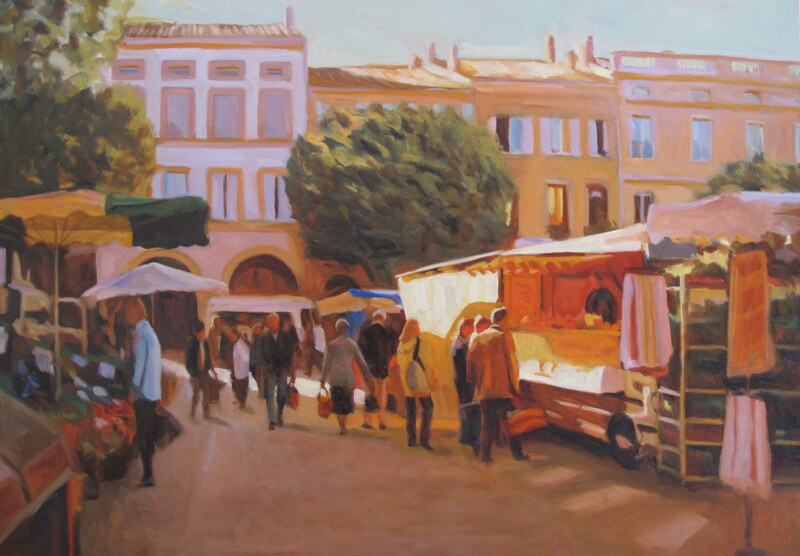 In the meantime, if anyone is in Nice, do try to go to see Omar’s work in the Cours Saleya open air market. Can anyone lend me £3m? The Sotheby’s auction to be held in London in November includes two outstanding Sorollas – El Pescador is one of my favourite paintings and is estimated to sell for £2 to £3m (although my guess is that even the higher estimate may be exceeded). 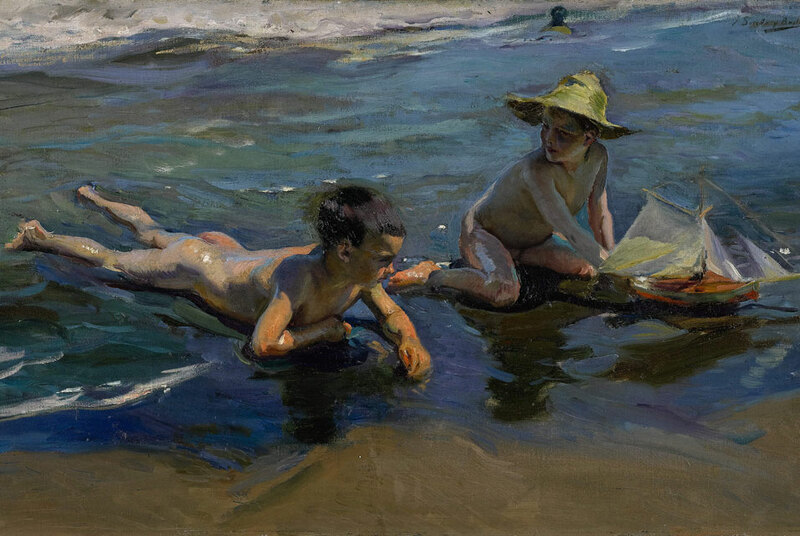 Both El Pescador and Niños en la Playa (below) were painted in 1904 and, to me, are wonderful examples of Sorolla’s transition from painting with his head to painting with his heart. 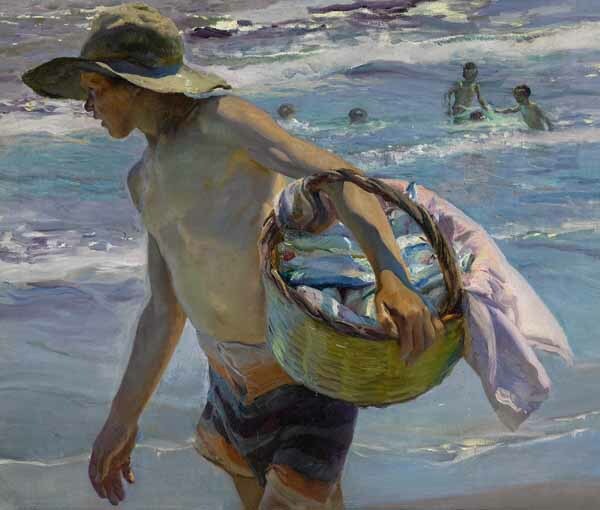 In Niños en la Playa I am fascinated by the area around the head of the boy in the foreground – did JS come back to the painting later to change the shape of the head? And if so, why did he not do the far simpler thing of making the corresponding changes to the sea? But at the same time I love this part because it shows Sorolla’s honesty and focus. And the blue (? Prussian blue) in the foreground seems far stronger than in many other paintings. I am so fortunate to have Revel market only 150 metres down the road – every Saturday I spend 2 to 3 hours doing our weekly vegetable shop, wandering among the cafes and canopies and just enjoying the ambiance of what must be France’s most friendly market. I am delighted to have been asked to put on a one-man exhibition in June and early July 2011 at Galerie Roger Betti in the Saint Etienne district of central Toulouse. 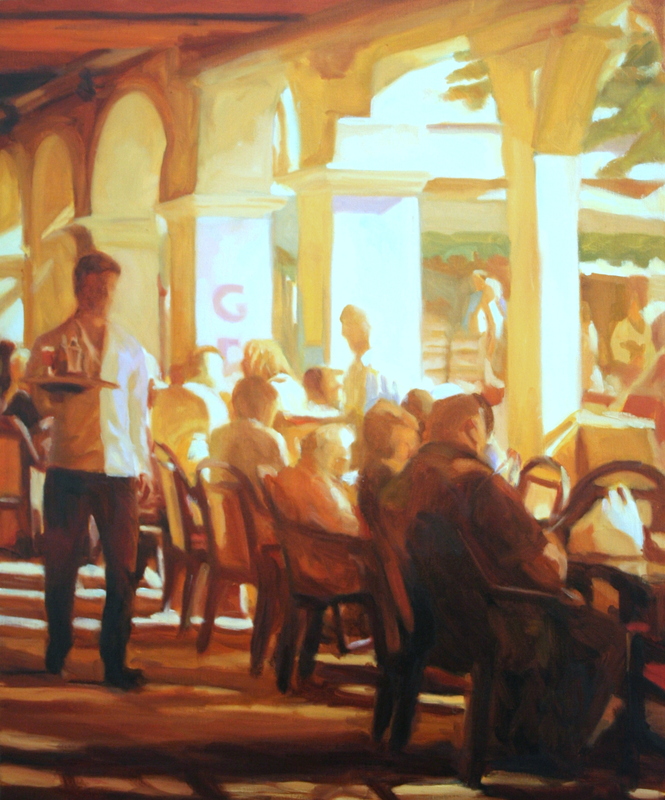 Although not all the oil paintings will be of the city, I am intending to include quite a few – and I have just finished this one of a lunchtime restaurant in Place Saint Georges. 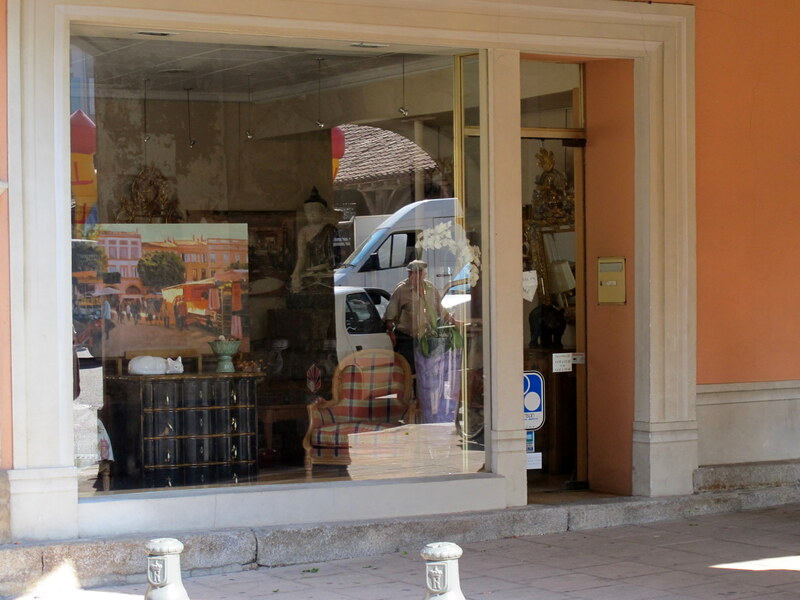 I just bumped into Gary Imlach, the presenter of ITV4’s Tour de France programme, in the market and he and his team took some film of my paintings of Revel which are currently in the window of Madam Maury’s antiques shop. 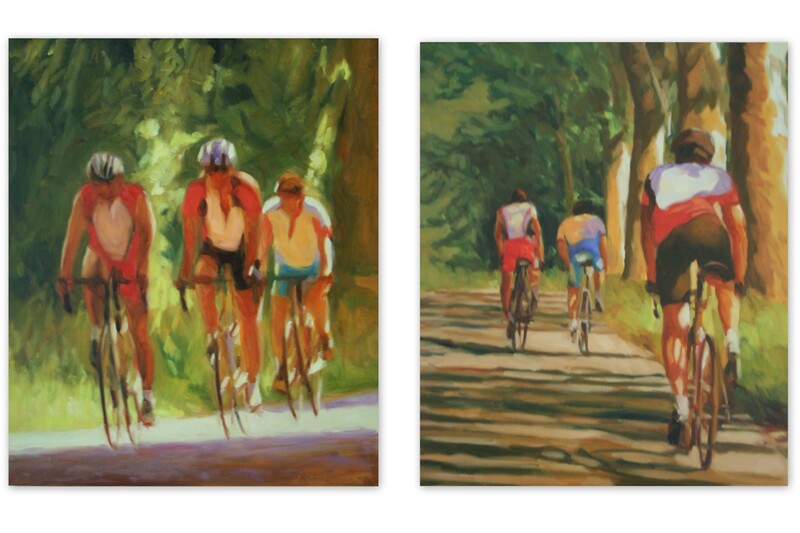 I understand that they are hoping to mention my paintings in their programme on the Tour de France’s arrival here this afternoon – as a short English Artist in Revel item. Madam Maury also told me that she had sold a couple of my paintings yesterday and has interest in a couple of others – so all in all a pretty good start to the day for this Revel artiste! This is a bit stronger than my usual approach in terms of colours and contrast but I wanted to capture this wonderful natural composition and the atmosphere of Royal Ascot which I attended for my first time last month. The working title of the 100cm by 50cm painting is “Shooting Sticks”. 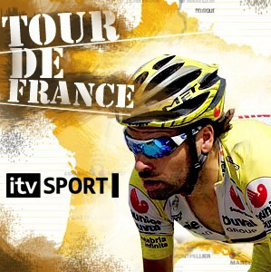 As I write this I can hear the fireworks going off in Revel in celebration of tomorrow’s arrival of the Tour de France – I am just praying for some sun! Everyone here in Revel is getting very excited as this Saturday’s Stage 13 of the Tour de France finishes here – and then Stage 14 starts from here on Sunday morning! This is not only a great honour for this small market town (population about 9,000) but also a major boost to the “Bio Valley Lauragais” project which designates Revel as the centre of an area focusing on biological and natural food products. And with 50,000 visitors expected it should be quite a weekend! I am delighted to have been invited to sit in the VIP stand adjacent to the finish from where I am hoping to take photos on which to base a large painting of this historic event. I also have an exhibition of paintings of Revel in Madam Maury’s fabulous antiques shop in the market square, including the above painting of some cyclists I spotted a couple of weeks ago. My only worry is how Contador is going to carry a large painting on his bike, particularly with the tricky Pyrenees sections ahead! 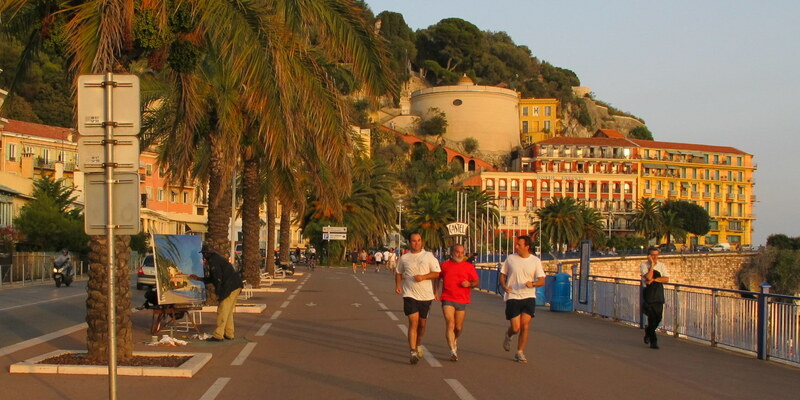 But apparently we are getting a real MacDonalds soon – how France is changing! 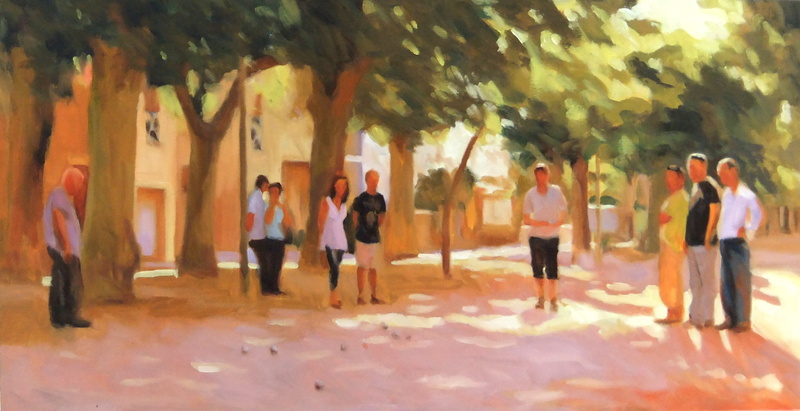 I have just completed this painting of an evening game of Pétanque in the Avenue Charles de Gaulle here in Revel. Pétanque is a form of boules in which the player whose boule lies furthest from the cochonnet (literally “piglet”) throws next. Pétanque is apparently played by 17 million people in France. Revel – Champions of the Pyrennes! 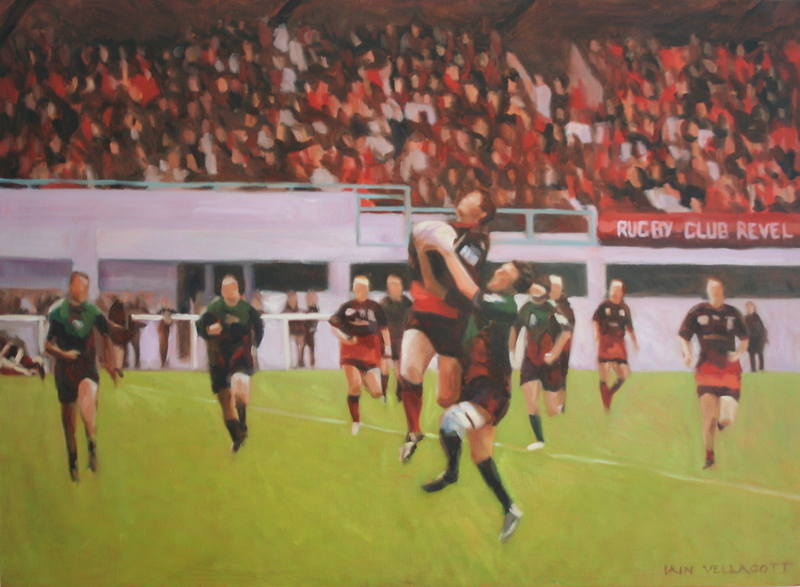 I painted this picture to celebrate Revel’s historic victory over St Lys in last Sunday’s Final of the Rugby Championship of the Pyrenees. It is currently in the window of the Madame Maury’s wonderful antique shop in the Market Square – and seemed to be quite a talking point in this morning’s market! I have just finished this new painting of a “hot” (similar to a rugby scrum) in a game of Winchester Football. I have painted this one quite large (4ft by 2ft) as I wanted to focus in on the energy and atmosphere of the 16-person hot. 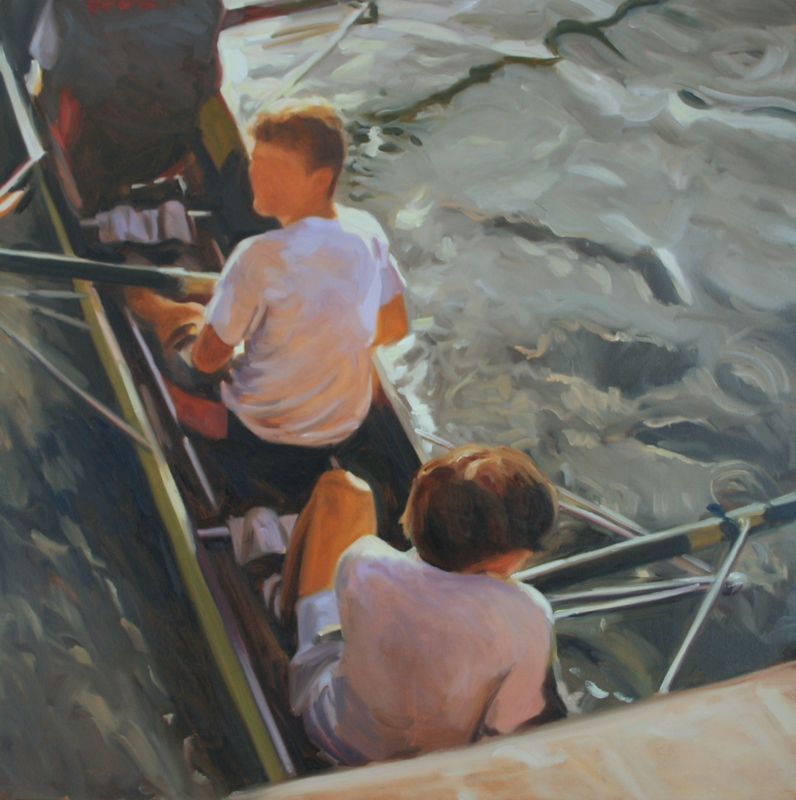 I have posted below a couple of new paintings – the first is a further painting of my nephew playing in the waves in the early evening light of Brittany; the second my two youngest boys trying to make a fire when we were camping in the Cotswolds last year. 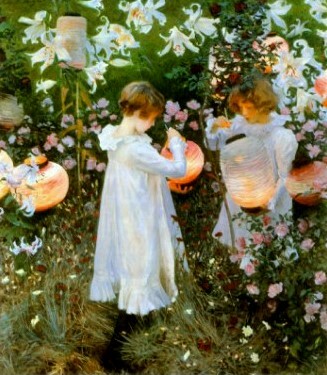 I love early evening light – one of my favourite paintings is John Singer Sergent’s “Carnation, Lily, Lily, Rose” which I went to see at the Tate when I was last in London. 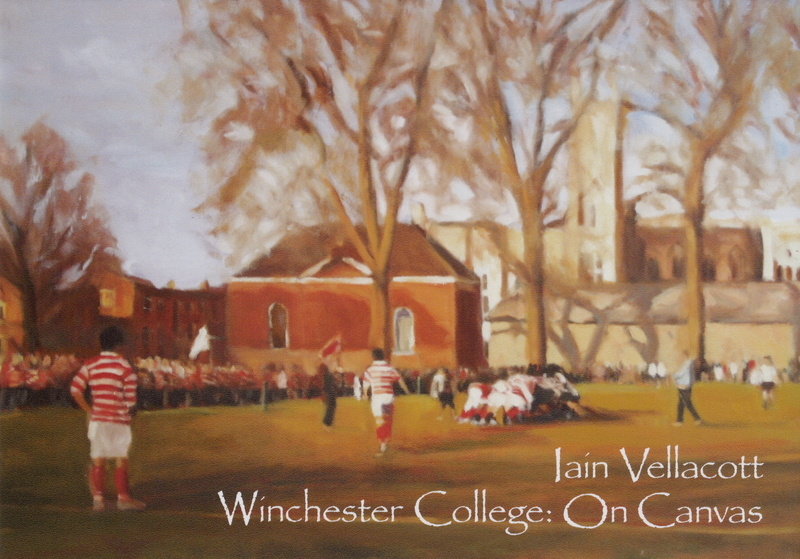 Following the success of my recent “Winchester College On Canvas” exhibition I have decided to make this a continuing project and will be posting new paintings on my web site (www.inoils.com) as I complete them. This is a new painting of Kingsgate Street that I have just finished. 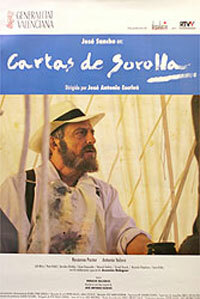 A couple of years ago the Spanish TV company Channel 9 made a film about the life of my favourite artist, Joaquin Sorolla. Despite quite considerable searching I have so far only managed to locate this silent version of a documentary about the making of the 2m euro film. If anyone knows where I can buy a DVD (even just in Spanish) I would love to know. I am now back in France after a very enjoyable 2 week trip to the UK for my Winchester College on Canvas exhibition. The final tally was 28 sales with a further half dozen requests for further paintings, which I am really pleased with. I was particularly thrilled that many boys in the school took an active interest in the exhibition – and I even ended up giving a number of talks to classes. It feels a bit odd now to be sitting in my studio surrounded by bare walls an wondering what to paint next. On the way to the Channel Tunnel I heard on the radio that it was Cheltenham this week and I very nearly turned around as I would love to paint a major horse racing festival – and seeing the sunshine there yesterday I clearly should have done! After over a year’s work it feels strange to be taking the pictures down from our walls as I get ready to drive back to England tomorrow. I just hope that the people that (hopefully) buy the pictures will enjoy them as much as I have enjoyed painting them. 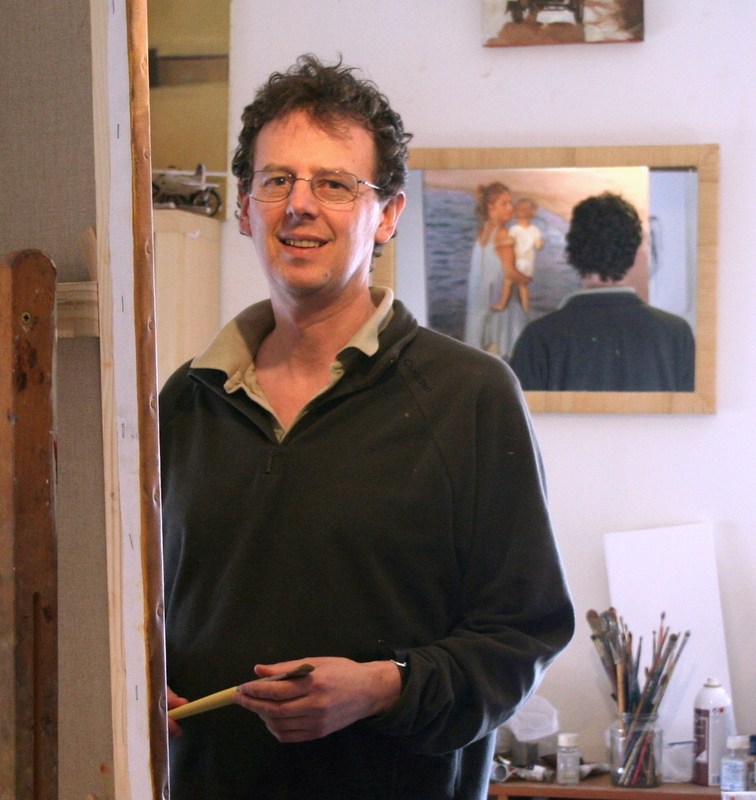 Pete is one of my painting idols – I love the light and energy of his townscapes and am constantly in awe of his ability to set his easel up on a street corner and capture not just the architecture and perspective but also the light and whole atmosphere of a scene. He mainly sells his work through Messums, one of London’s top galleries based on Cork Street, and, not surprisingly, his annual shows are often sell-outs. 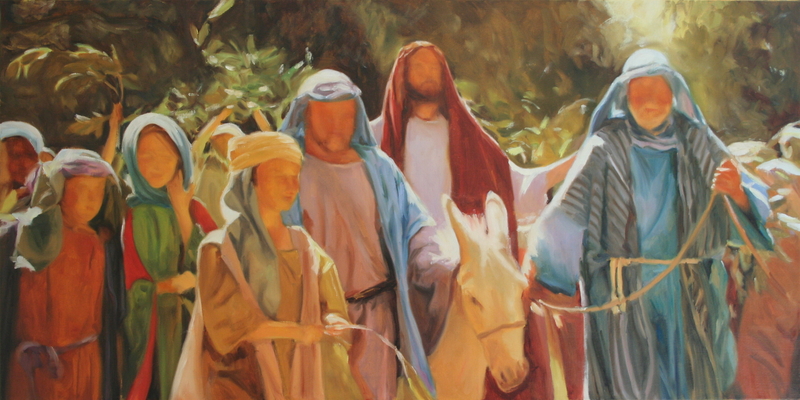 You can see more of his work here – and hopefully you will be able to see his shorts on him! 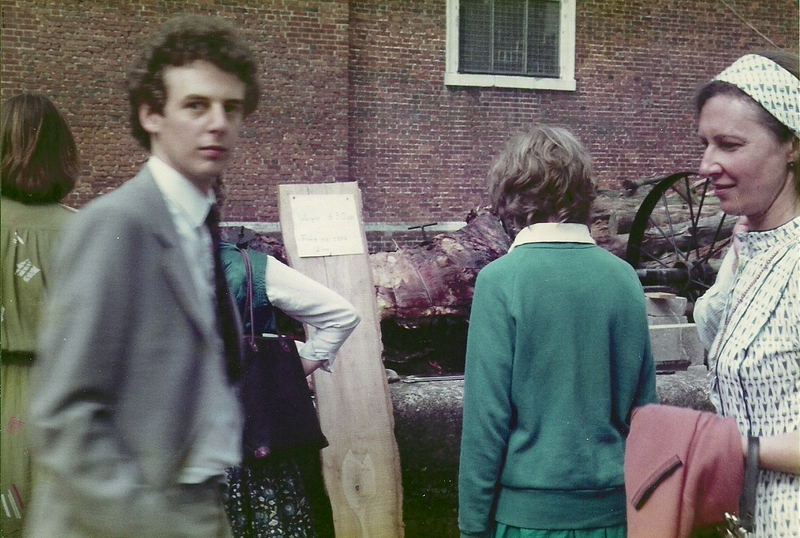 My great friend, the legendary Old Wykehamist spin bowler Martin “Bean” Norris, has sent me this photo he took at one of the school art exhibitions thirty something years ago. My paintings are the ones in the middle just past my nose – although Juliet Clark and I both seem to be admiring the much better ones on the left! 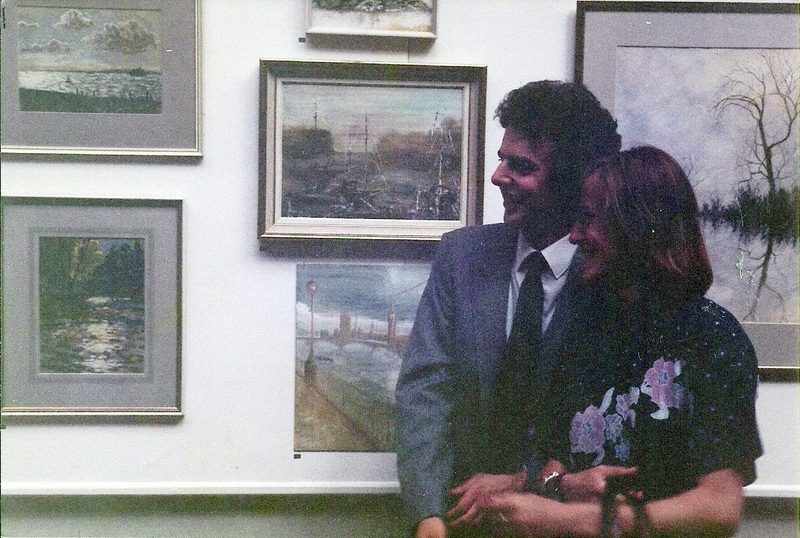 The painting of the boats still hangs in my parents’ house – my mother took it in return for paying for my driving lessons. I always knew she was a canny investor! Martin also included this one which is particularly good of the suit that I used to be so proud of! 5 weeks to go until I head back to the UK with a car full of paintings for my Winchester College On Canvas exhibition in early March. At Winchester the “pitch” on which one plays Winchester Football (or “Winkies” as it is apparently now called) is called a canvas – and one plays “on canvas”. A canvas is eighty yards long by twenty seven yards wide (recalling the fact that the game was originally played in a road) and on either side there is taut netting to a height of about 4m and a rope strung between posts. 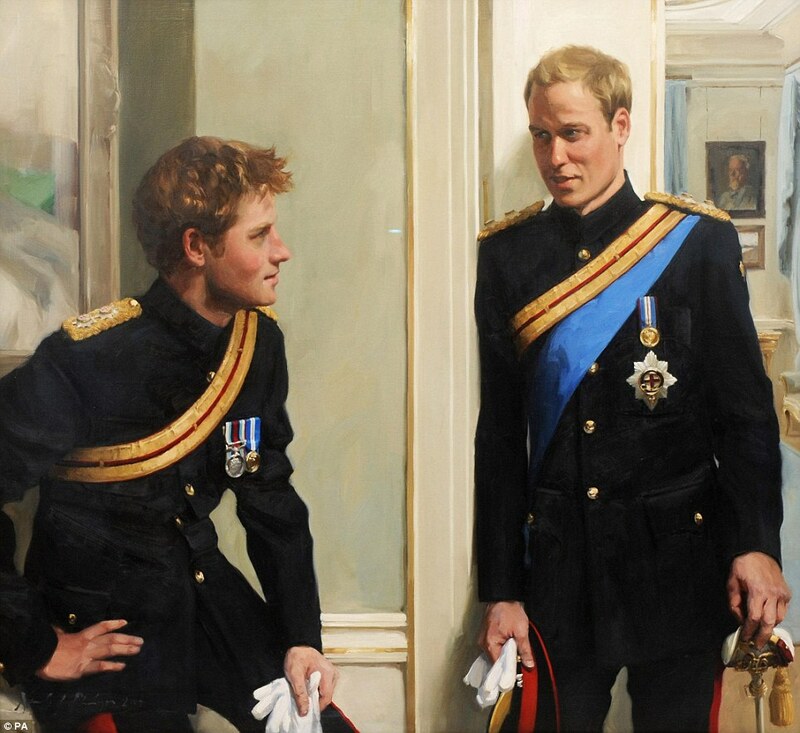 This new portrait by artist Nicky Philipps of Princes William and Harry was unveiled yesterday. I now understand why Sorolla needed such a vast studio attached to his home in Madrid – I have completed almost 30 paintings for my March exhibition and my walls are now totally full – my kids are complaining that it feels more like living in Winchester than South West France! And not only was Sorolla painting many times the size of my canvases but he also had over 300 pictures in some of his exhibitions! 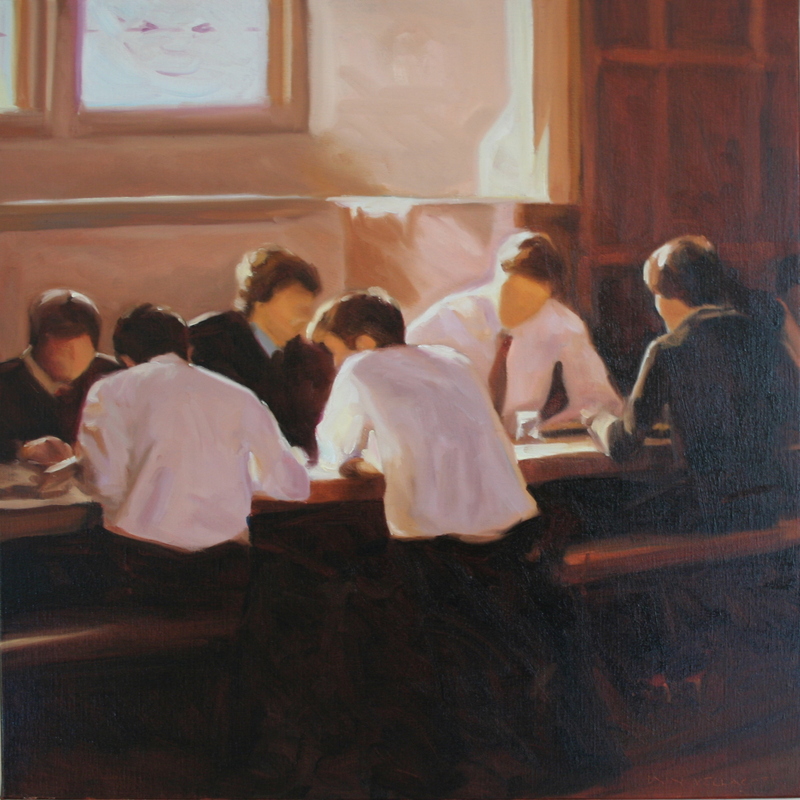 My most recent painting is of lunch in Winchester’s 14th century oak-panelled College Hall. Having been doing all this research for my new Sorolla web site (www.sorollapaintings.com) one of the things that keeps going around in my head is his statement “I could not paint at all if I had to paint slowly”. 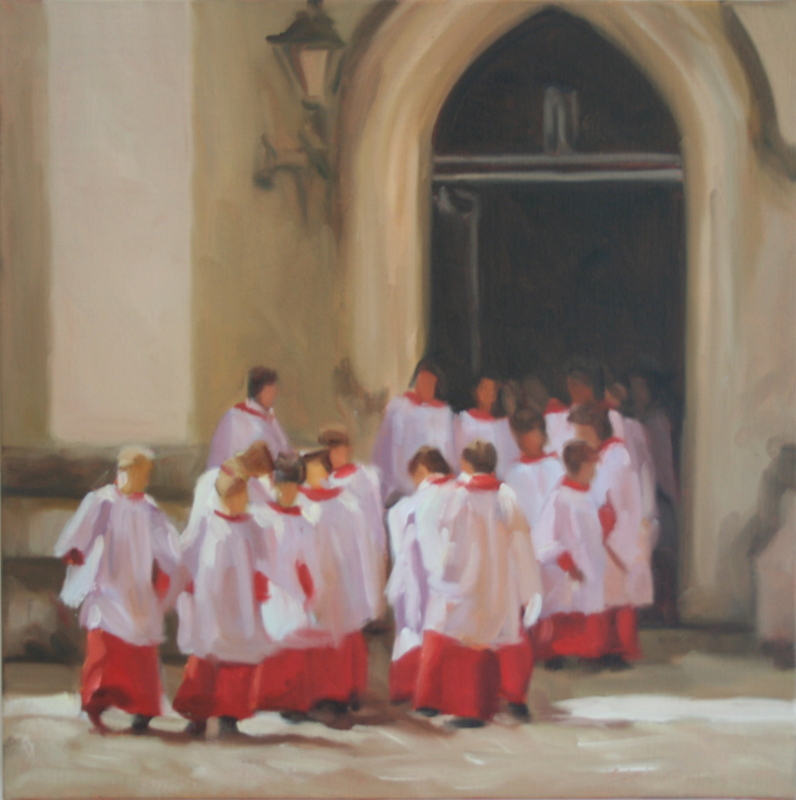 So for my latest paintings in my Winchester College series I really went for – painting both faster and larger (80cm square) than I have for some time. It has been a fascinating exercise researching Sorolla’s life and his approach to painting, including, for example, the colours that he used and some of his direct thoughts and observations (taken from the US press reports of 1909). I particularly wanted to include good-sized versions of some of my favourite paintings – I hate only being able to look at small thumbnails when part of Sorolla’s impact is the scale and grandeur of the works. 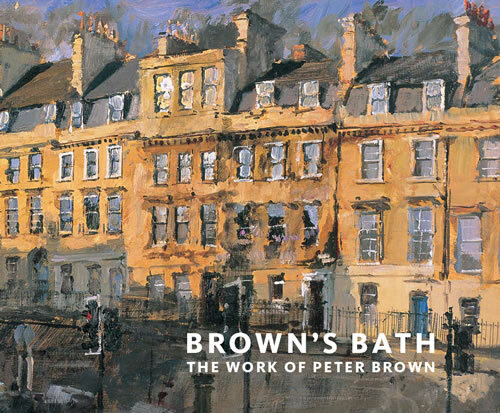 The site is not intended to be a definitive guide but rather a brief introduction to this great artist in the hope that it might provide a gateway through which others might come to know and love his fabulous paintings. PS Thanks to Nick Simmons, my favourite American watercolour artist, for his comment below which I have put on Twitter – slightly abbreviated to fit the 140 character quota. It has been such fun painting the street where I grew up – it has hardly changed since my parents moved there almost 50 years ago. 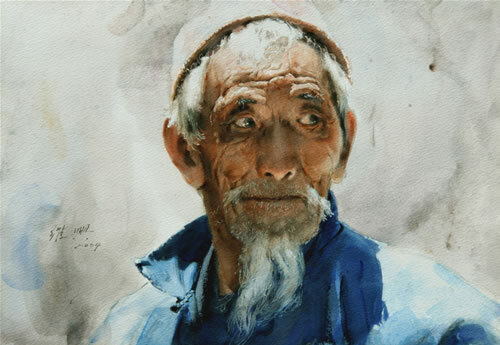 I have just come across this incredible Chinese watercolourist, Guan Weixing, on Nick Simmons’ excellent art blog. To do this sort of painting in oils would be amazing – to produce it in watercolour is breathtaking. Congratulations to Nick Simmons (whose work I also greatly admire) on being chosen to sit alongside Guan Weixing as a judge for next year’s Shanghai International Watercolour exhibition. 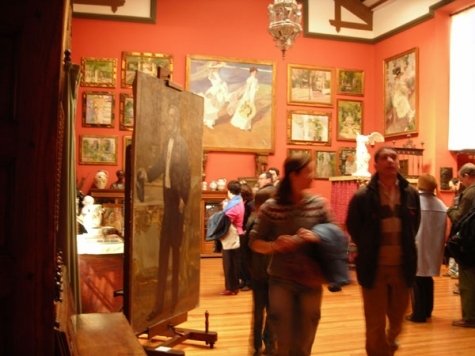 Following the success of the Sorolla exhibition at the Prado around 50 of the works have now been put together in an exhibition at the Bancaja Cultural Centre in Sorolla’s home town of Valencia which lasts until 10th January . Sadly, the exhibition only contains about 50 paintings (as opposed to the 100 at the Prado) and appears quite focused on the Hispanic Society’s Visions of Spain panels which, personally, I do not feel radiate quite the light of some of his smaller works. particularly his beach scenes. But that is only my personal opinion and if you are in or near Valencia then I would certainly recommend a visit – the Panels are still staggering pieces of art – the idea of painting on such a vast scale with a team of models and still getting such an overall feel for the various regions of Spain is pretty impressive in itself – and I do love some of the Panels – the Tuna Catch and the Palm Grove for example are both wonderful paintings. 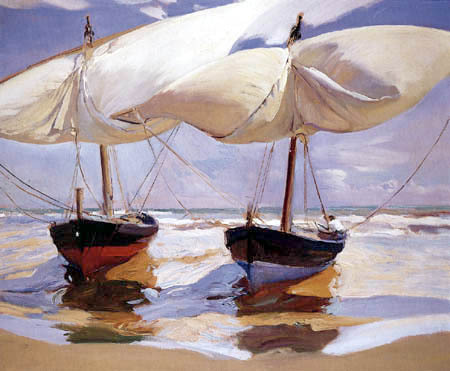 To view my posts on the Sorolla exhibition in Madrid follow the link on the right side. 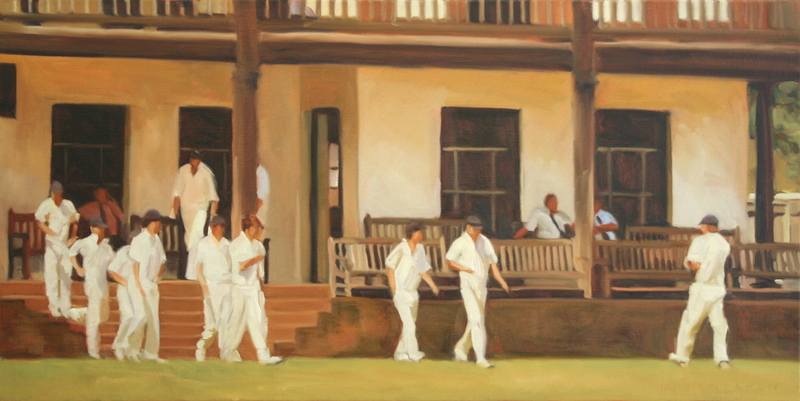 Despite England’s worryingly poor showing against New Zealand I have remained loyal to my cricket theme – and have just finished this new picture for my exhibition in Winchester next March. At least now we only have to beat Australia to get to the final! Postscript – sad about England! I was pleased to learn today that I won the Prix de la Office de Tourisme – a hamper of Foie Gras and other regional delicacies – at this year’s Soreze Salon for this picture of Jesus entering Jerusalem. Unfortunately, I was unable to attend the weekend’s prize-giving as I was dancing the night away at a truly incredible 50th birthday party of a great friend over near Cannes – it’s a tough life! After a hectic summer driving around UK visiting friends and family I have finally managed to get back to my paints – and I chose this scene from Revel market to get back into the swing of things. 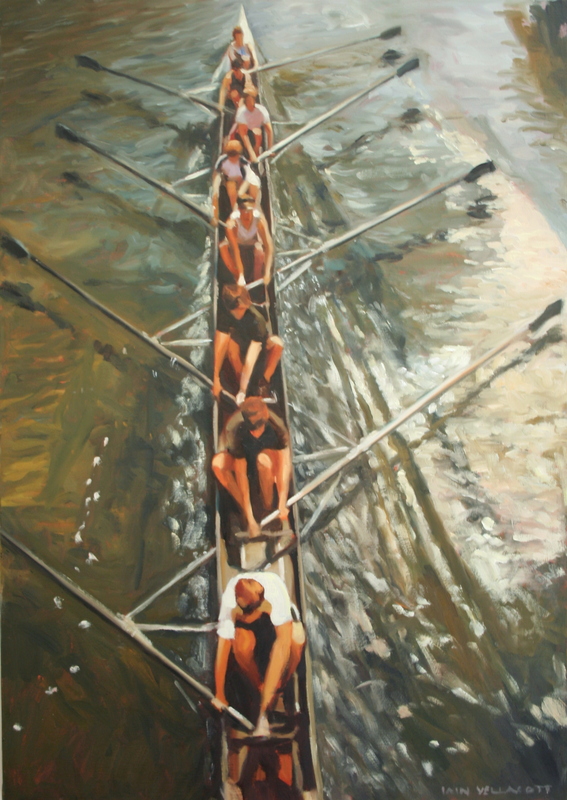 I have just completed this painting of a rowing eight. The painting measures about 65cm x 90cm and is one of the series of sports pictures that I am doing for my exhibition in Winchester next March. I never rowed when I was at school but I love the sight of an eight powering down the river and wanted to try to capture the speed, power, co-ordination and symmetry. The Artist magazine has published an article about our move to France in their August edition. I haven’t yet seen the magazine (the post to France is always quite slow) and I can’t remember which photo I sent them but I think that it was the one above – all that I can remember is that it took ages for my 11 year old son to get me and the mirror in the picture together! I use the mirror all the time to give me an objective view of my painting. Copies of the magazine can be purchased from The Artist Magazine and will be in WH Smith and other leading newsagents in the UK from around 12th July. I sat down to have my lunch yesterday, flicked on my new TV and found myself watching Channel 4’s new Life Class programme. What a great idea! Beats Countdown! Sadly, the artist that was presenting the programme was pretty useless but the model was good and the programme seemed to give enough time for people to draw from the model – albeit that a TV image obviously misses many of the subtleties of light and form. I started attending life classes when I lived in London 20 years ago and ever since then have tried to join a class wherever I have been living. In Revel we have a class most Mondays, starting with short 5 minute poses and then extending the time out to about 20 minutes for the longer poses. I always draw in charcoal on large pieces of paper (50 x 65cm) and love to work the charcoal around with my fingers and then lift off areas of light with a putty rubber. I put a lot of concentration and energy into my work and at the end of 3 hours I am exhausted. 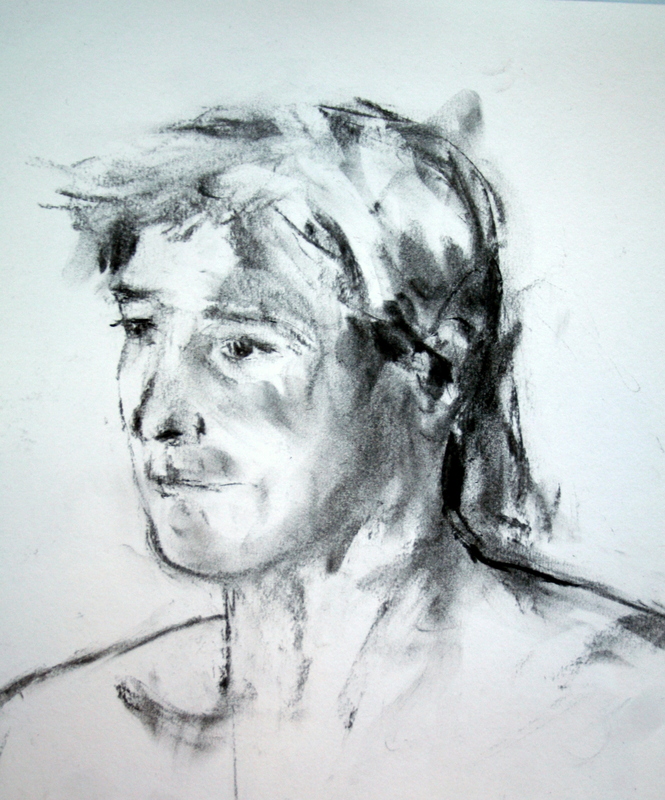 I would strongly urge any artist to try to find a local Life Class – I know it can seem quite a daunting prospect for some people but once you have got through a few sessions you will start to relax and your skills of drawing and observation will improve significantly. And if you want to have a go before that why not turn of Channel 4 at lunchtime and get drawing! I am honoured to have my paintings hanging alongside such high quality work and particularly like the watercolours by Keith Noble and Roger Dellar. 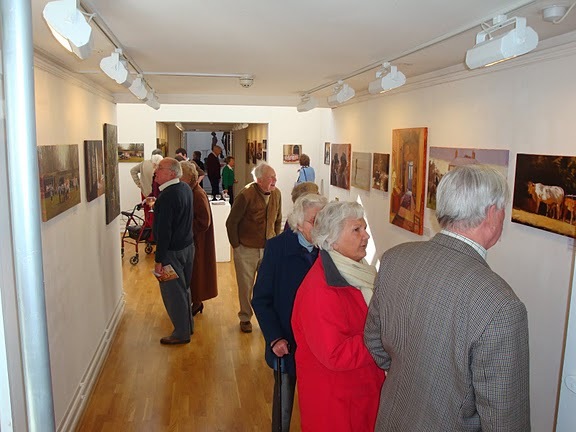 The exhibition is at Great Bookham in Surrey (England) and is open until 25th July. 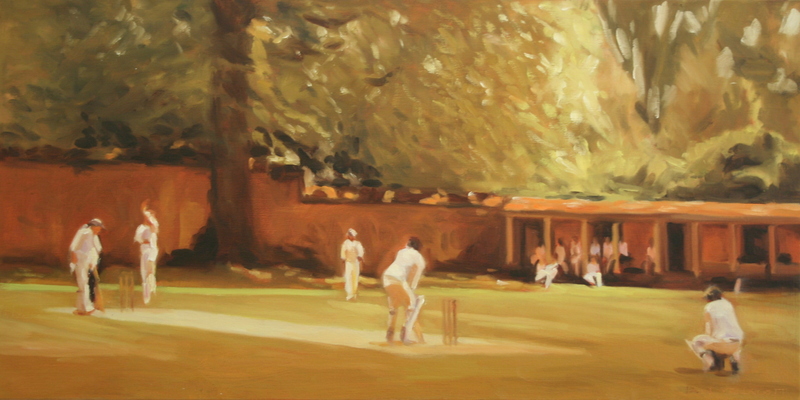 I have just done this small painting of a game of cricket from my trip to Winchester a couple of weeks ago. 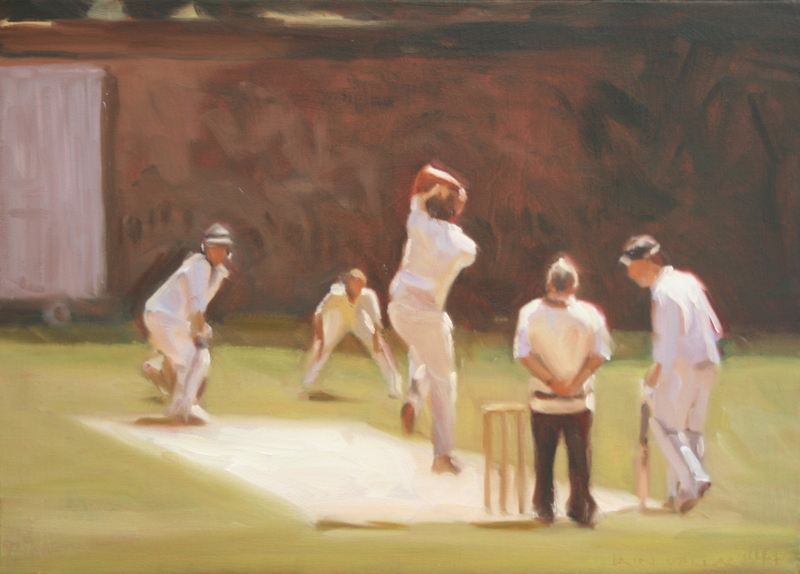 As a keen sportsman when I was at school, I am very interested in how to convey the competitiveness, movement and general atmosphere of sporting events in a “painterly” fashion. If anyone has any good examples of sport in art perhaps they could post the link. The Prado web site has now published a 15 minute video of the Sorolla exhibition with subtitled comments by the curators. The above painting is The Tuna Catch, painted in 1919. It is one of the enormous Hispanic Society panels (this one is 3.5m x 4.9m) which have been brought over from America for the exhibition. I get the impression from looking at the Hispanic Society panels that Sorolla’s passion for life and light was drained by this commission – for me his paintings of the beach, particularly those around Valencia, are the work of a far happier man, full of energy and passion and loving the adventure of painting. There are, however, some exceptions – I love both the Tuna catch and the one of the girls sitting under the palm trees (Elche, El Palmeral). What I had not appreciated until visiting the exhibition is that the top 70cm (roughly – you can see the line if you look hard) of this painting comprising the underside of the yellow awning is a separate canvas which presumably Sorolla added towards the end of the painting – I hope that I would have the confidence to do that! The Hispanic Society commission undoubtedly made Sorolla a very rich and well-known artist but did it contribute towards his death at the relatively young age of 60? I have 5 oil paintings in the Lincoln Joyce Summer Exhibition that opens this week, including this one of a restaurant in Covent Garden. 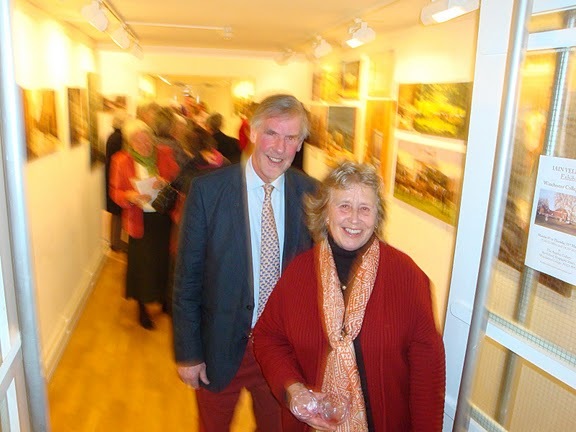 The exhibition is open until 25th July at Lincoln Joyce Fine Art, 40 Church Road, Great Bookham, Surrey, KT23 3PW. Further details on the Lincoln Joyce web site, click here. Friday evening was the opening of the Kaye Gallerie Summer Exhibition in Carcassonne. 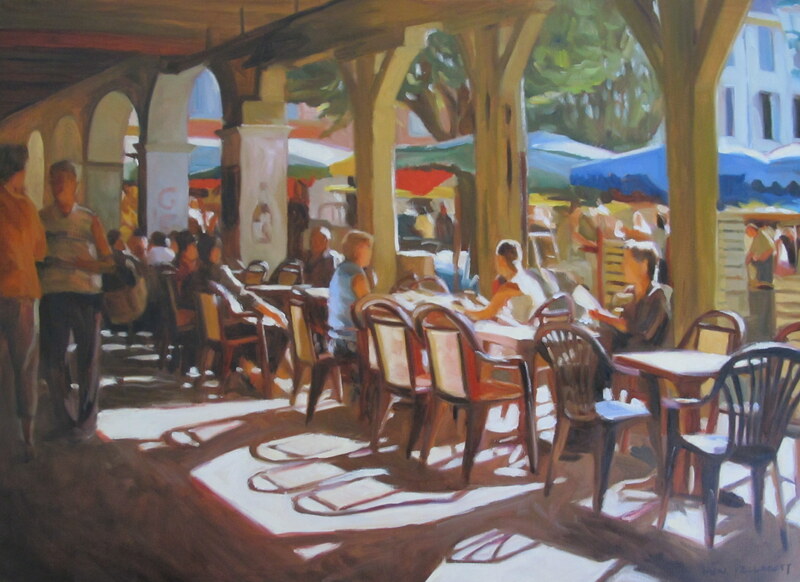 As well as some great paintings by Aldo, I loved Tracey Rowan’s recent paintings of San Fransisco and Toulouse. The exhibition is on until 1st August.